When I was younger I thought that lavender was a fragrance for a lady of a certain age. However, I think when you smell pure organic lavender there is nothing ageing about it. Jojo and Vallie love the smell as much as I do. Best of all, on the field we can go on minibeast hunts. Caution: if you are pregnant and/or making a change to your lifestyle check with you GP first. Lavender in the bath is a soothing way to wind down the day. I love to put a few drops in the kids’ bath water. 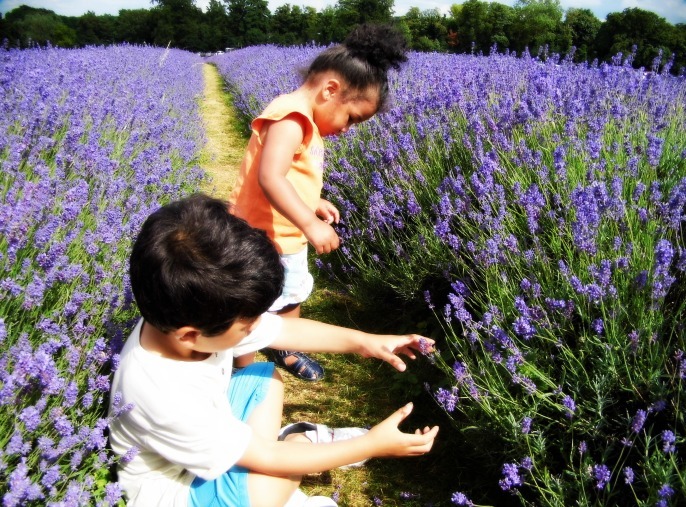 Valentina has eczema but lavender is good for eczema because it eases irritation. When decided to stop chemically processing my hair 7 years ago, I enjoyed experimenting and mixing small lotions and potions. 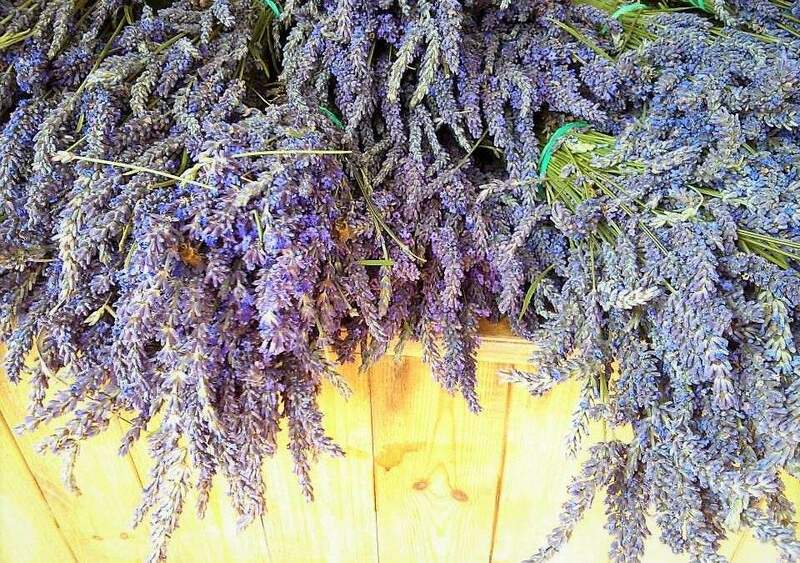 I love lavender in my homemade hair butters, hair conditioner and hair oils too. Its helps prevent itchy scalp, dandruff and head lice. What’s your favourite carrier oil? I find it hard to choose so my top three are: coconut, avocado, jojoba oil. Mixed with a few drops of lavender essential oil and it makes calming massage oil. You could even have lavender scented candles breath, relax; repeat. On any given day our feet take a pounding. If you are a commuter like me, by the end of the day’s hustle they ache. Add a few drops to warm water and soak your feet for 20 mins. Got the time? Have a DIY pedi. It’s is an acquired taste but I enjoy lavender tea with a side of biscuits as part of my 15 mins of me time. It’s also super yummy in cupcakes, fudge, and shortbread. I’m not baker so I usually stock up when we visit Mayfield Lavender. 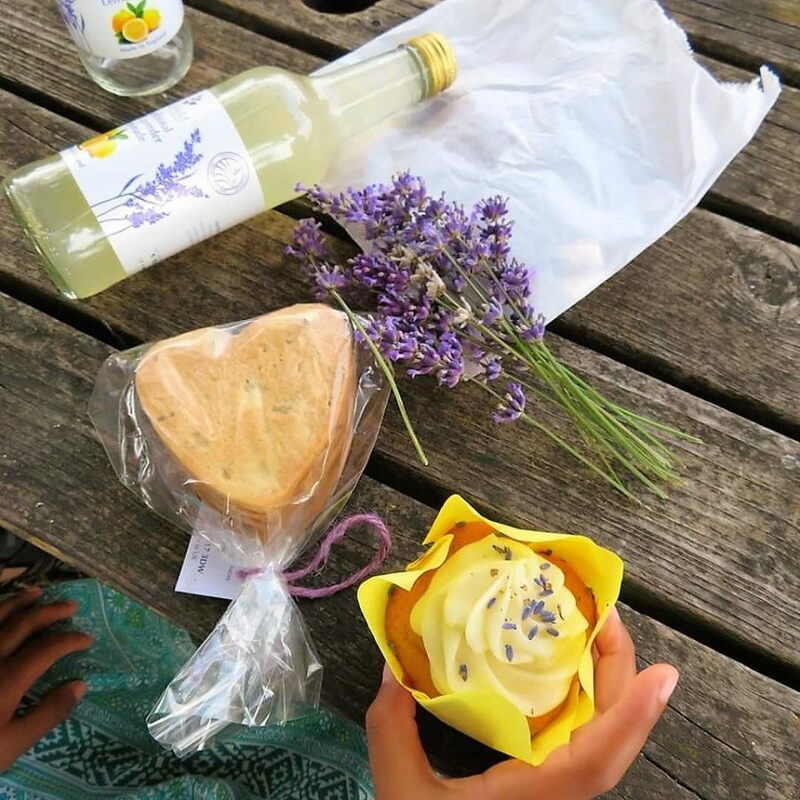 On a hot summer’s day, you can skip the tea and have e a lemonade infused with lavender. 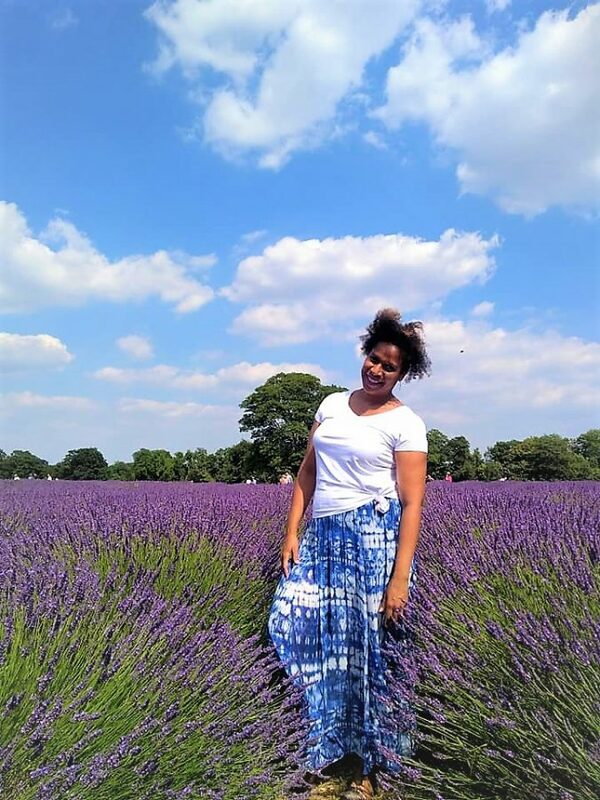 Love or loathe how do you feel about lavender?